Not too long ago automotive enthusiasts near and far gathered together under the Big A to celebrate these wheeled machines. 2015 Nitto Tire Auto Enthusiast Day Presented by Driving Line swung hard and sent all expectations flying over the fences with at least 12,500 attendees, over 900 vendors, over 1,000 show cars and driving demos from Nitto Tire's best. Formula Drift professionals Vaughn Gittin Jr, Tanner Foust, Mad Mike Whiddett, Odi Bakchis and Matt Powers were joined with Ultra4 experts Loren Healy and Jason Blanton. Think that was it? Empire Rules stunt bike riders Nick "Apex" Brocha and Ernie "VDUB" Vigil got some two-wheel fun in, while Pro 2 star and recently crowned champion, Alex Helibrunn gave the FD guys a tease of what's he's bringing to the big show next year. Industry partners, motorsports and show vehicles; imports, domestics, classics and trucks - Auto Enthusiast Day had it all. Don't believe me? Let the highlight video below be my proof and make sure you mark your calendars when AED comes to a city near you! Got you wanting more? 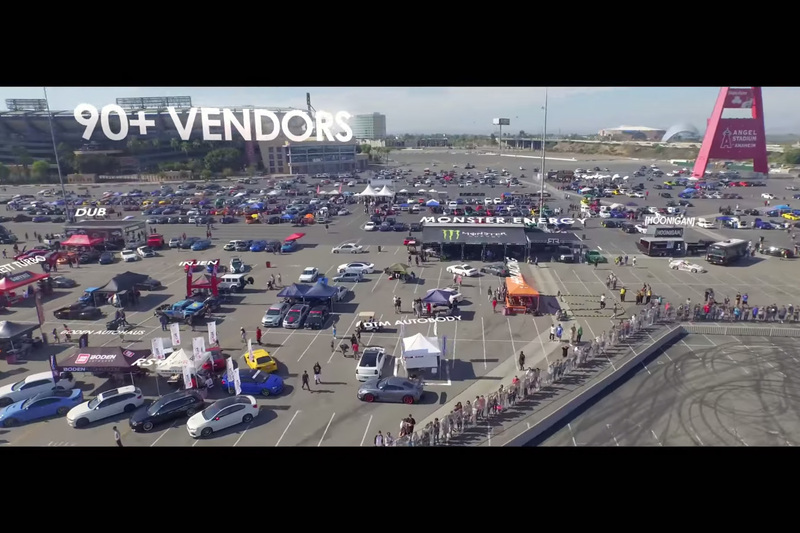 Look back at our official Auto Enthusiast Day 2015 - Angel Stadium recap!